I am undertaking some research into the life and works of the Cornish plant hunters William and Thomas Lobb, who plant hunted for the Veitch nursery in north and south American, and India and south east Asia respectively. I have a pretty good feel for what, where and why they were working but there is a dearth of archive material, in particular their records / diaries written in-country and the Veitch company records of both London and Exeter branches have disappeared. Possibly up in smoke in the Blitz. If anyone has any records of or about Veitch and /or the Lobbs, or knows someone who may, would you be kind enough to drop me a line. Thank you so. 'It’s well known that readers love crime novels and readers love books about gardening – and many readers like both. 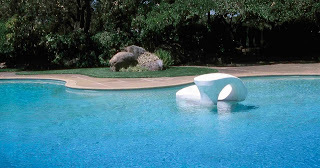 The Body in the Garden combines these two genres in a festival to be held in October 2013 in the leafy Botanic Garden. And I am proud and excited to be a part of this interesting hybridization. So if you are in Australia or are looking for an excellent excuse to take a trip, why not make a date and come to Adelaide and participate in what promises to be a most unusual and innovative festival. There is still time to sign up for my month-long, online garden history course hosted by My Garden School. The course begins on the 3rd August and for a review by former student Deb Wiles, please check out her post on her blog Got Soil? This link will take you to the booking page where there is also to be found the Programme under the ‘More Information’ tab. Fees are £50 for this two-day event, which includes participation, lunches and teas together with a coach trip to Wentworth Castle. 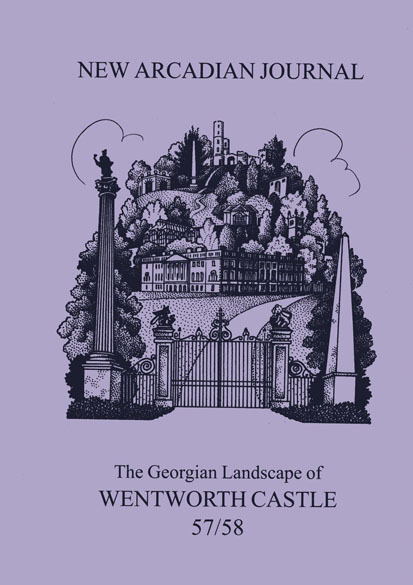 And if you want to swot up before you visit, I can't recommend highly enough The Georgian Landscape of Wentworth Castle published by New Arcadian Press. The water channel at Nishat Bagh (Photo: Jan Haenraets, 2011). Great post from Jill Sinclair on her a landscape lover's blog focusing on the Mughal gardens in Kashmir and the work currently being undertaken to preserve and conserve them. The remains of the Oont Kadal in Dal Lake at Nishat Bagh (Photo: Jan Haenraets, 2010). The post features an interview with Dr Jan Haenraets who is working on the conservation work, and who also wrote a fascinating article 'Rediscovering the Mughal Gardens of Kashmir'.